This time of year when the weather is cold and blustery, there’s little I love more than sitting down at the end of the day with a hot and hearty bowl of soup, stew or chili. Well, it does get infinitely better when you add a flaky biscuit or slice of bread to sop up all that liquid deliciousness! So, for this month’s Foodie.com post, I couldn’t resist sharing 15 bread and biscuit recipes to make any meal complete. Our homemade yeast rolls recipe has been the most popular recipe by far on Smart Savvy Living ever since it was posted a couple years ago. 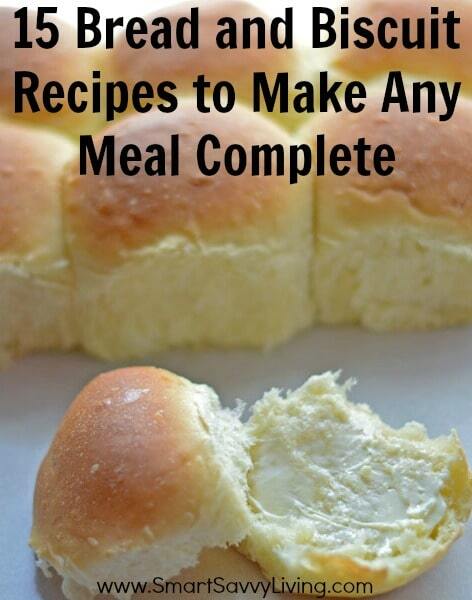 I love the rolls for everything from pairing them with a nice steak dinner to alongside a hearty beef stew. Even if you are new to baking and a bit scared to work with yeast, be sure to check out the recipe. I wrote the directions with new bakers in mind and several readers have commented that they turned out great on their first try! Being from the south, I also love to make biscuits. They go great with any soup, and I must admit that I have to make biscuits and sausage gravy for breakfast now and then. A good cornbread recipe (or corn muffins in my case) is also a must to go with a nice spicy chili. I also can’t wait to try the rye bread as it’s my favorite type of bread. Plus, it’ll be perfect to pair with the corned beef we’ll be having in just a couple months. 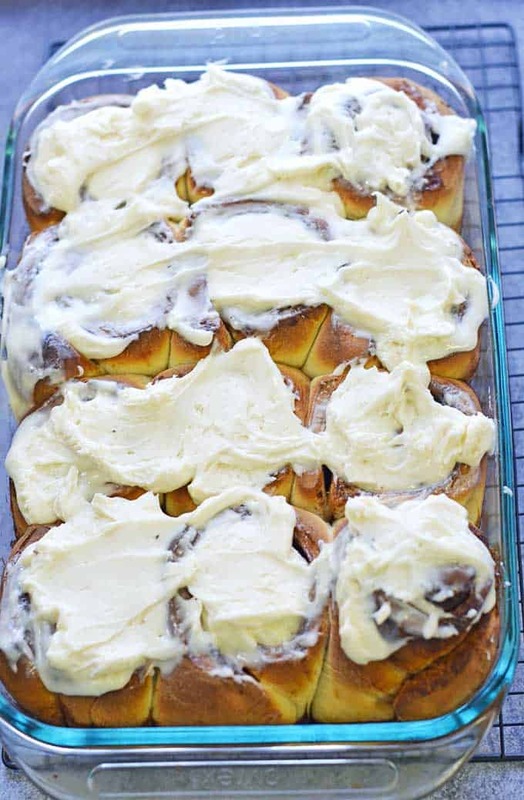 I also love to make our homemade cinnamon rolls recipe for special weekend breakfasts. Which of these 15 Bread and Biscuit Recipes to Make Any Meal Complete is your favorite?